Glass Masters in Montgomery, Alabama and now also Austin, Hutto, Round Rock, Pflugerville, Texas, has built a reputation of excellent service and low prices for automotive glass. Our name says it all. We are your one-stop shop for all glass replacement, car window repair, and installation. We offer our services in house, or we can come to you with mobile glass replacement service. We also replace residential window glass, mirror and door glass, as well as commercial and industrial windows and storefronts, and glass curtain walls. We provide other specialized services including replacement of bullet resistant glass and various types of low-E glass including solar panels and tinted, plated, tempered, and insulated glass. We service all makes and models of cars, including most foreign models. We can replace broken, cracked, or chipped glass in house or on-site with our mobile glass service in Montgomery and surrounding areas. We are happy to work with your insurance claim, and many companies cover replacement without charging a deductible. We use the latest technology, implementing the highest quality adhesives, primers, and most effective installation practices to ensure proper fit, seal, and retention. Improperly installed automotive glass can cause leaks and become unstable. Our installations come with a full guarantee. Our work is bonded and insured, and we are fully licensed to replace your automotive glass. 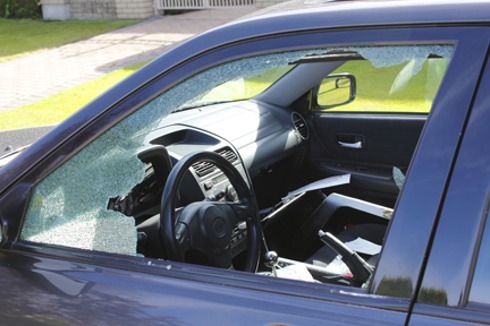 Rocks or other flying debris can chip or crack your windshield, back windshield, or side windows. Your ability to see clearly while you are driving is vital to your safety – and you can even get ticketed for having an obstructed view if the crack restricts your view. Your windshield also forms part of the structural integrity of your car. In many accident situations, the windshield helps keep your vehicle's A-pillar from collapsing and causing more serious injuries. 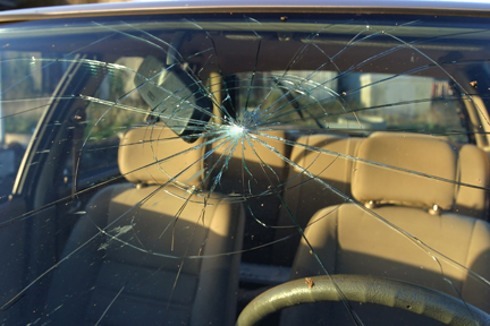 Your windshield really does take the brunt of everything that hits your car, and is the most likely to be cracked. However, the other glass in your car is also important for both safety and security. We can ensure that back windshields, side windows, and windshields give you the view and protection you need. Heavy rain also reduces driving visibility. What’s worse is getting soaked at the same time! A small leak in your windshield's gasket is not only a major inconvenience, it can also lead to further windshield damage. It’s best to fix any leak as soon as you notice the problem, before it gets worse. Our local experts are trained in car window repair and will completely remove the old seal from the glass and install a new one. Our mobile service makes repair even more convenient. Call Glass Masters for all your car window repair and windshield replacement needs. Our mobile windshield and window repair service comes at no additional charge, and we can provide emergency service 24 hours a day.